GKD Industries Ltd. ("GKD") is a privately owned Canadian manufacturer formed in June of 1994 to provide products and machining services focused on Well Stimulation, Wireline and Flow Control Equipment for the oil and gas industry. We are certified to ISO 9001:2015 and based in Calgary Alberta Canada. GKD's efforts are focused in two main areas: design and manufacture of GKD products for Well Stimulation and Wireline Pressure Control and Contract Manufacturing as an OEM supplier. 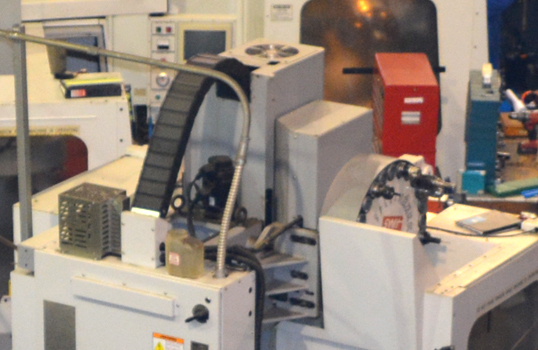 Contract Manufacturing consists primarily of precision machining services for industry leading oil and gas service companies based in Canada and the United States of America. Our Well Stimulation products consist of high pressure Integral Fittings, Treating Iron, Check Valves and Ball Injectors used by well service companies in well stimulation, pressure pumping and enhanced recovery activities. Wireline Pressure Control Equipment consists primarily of Slickline Valves (also known as Wireline Blowout Preventers), Lubricators and Stuffing Boxes. The majority of this equipment is used by GKD customers outside Canada, in such countries as the Sultanate of Oman, Iraq, Syria, Croatia, Hungary, Romania, Chile, Mexico, Australia, Philippines, Singapore, Vietnam and China. Quality is what GKD does and that quality starts with careful selection and testing of the raw materials used, processed by well-trained staff on modern, well-maintained equipment and documented in a Quality System with Document Control and Traceability that is maintained for a minimum of seven years. GKD Industries' core values are Integrity, Fairness, Honesty and Teamwork focused on customer satisfaction. We regularly communicate with our Customers and attempt to identify needs and expectations that may not always be verbalized. We focus on continuous improvement with the intention of enhancing Customer Satisfaction. At GKD we strive to exceed the expectations of our customers, with respect for the health and safety of our workers and the environment. In support of this we have developed in-depth Health, Safety and Environment Policies and Procedures together with rigorous Anti-Corruption and Confidentiality Policies. The Human Resources of GKD are our most valuable asset and the reason we have been successful for so many years. This recognition and the mutual respect among all staff results in a long-term stable group of employees.